St. Anthony Summit Medical Center in Frisco, April 2017. A bill has passed the state legislature that would require St. Anthony, along with all other Colorado hospitals, to disclose more expenditure and financial data than previously required. The Colorado Legislature has finalized a bill for the governor’s signature that would require hospitals to be more up-front about their expenditures. The bill, titled “Hospital Transparency Measures To Analyze Efficacy,” passed both houses of the state Legislature this week and has been touted as a way to make hospitals more transparent about how much they are spending on care, which in turn should help lower consumer health care costs. The bill, co-sponsored by Summit County’s house Rep. Julie McCluskie (D-Dillon), would require Colorado hospitals to make public more detailed financial information than they have been previously required. That includes uncompensated costs and different categories of expenditures, such as patient care, staffing, balance sheets, operating expenses, administration, acquisitions and how costs compare between uninsured and insured patients. Those numbers would also help compare how costs differ between towns and regions across Colorado. That is a special concern for residents in the High Country and the Western Slope, who pay the highest health insurance premiums in the state and among the highest in the nation. A key purpose of the bill is to determine how much “cost-shifting” is going on with hospitals. Cost-shifting is the common practice where hospitals make up for lost revenue or expenses by raising prices on consumers. Consumer advocates accuse hospitals of hiking costs to pad their bottom line without regard to actual costs. The transparency requirement would either provide or take away ammunition from that argument. The practice may also be used to shift the costs of caring for uninsured patients to insured patients, which is particularly problematic for the High Country and the rural Western Slope, where uninsured patient rates tend to be higher. In Summit County it is estimated that 1 in 5 residents are uninsured, which is double the statewide average. If the bill is signed into law, the Colorado Department of Health Care and Policy will work in conjunction with the Colorado Healthcare Affordability and Sustainability Enterprise Board to compile the data, remove any personally identifiable data or otherwise sensitive information, crunch the numbers and provide the public with a cost data report on all hospitals in the state. Family and Intercultural Resource Center director Tamara Drangstveit, who is part of the leadership team behind the soon-to-launch Peak Health Alliance countywide health care purchasing collaborative, was very pleased to see the bill get to Gov. Polis’ desk. 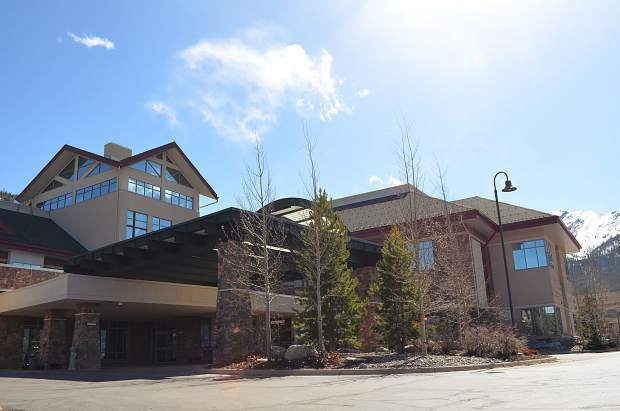 St. Anthony Summit Medical Center, the largest hospital in the county and owned by Centennial-based Centura Health, said it is on board with the legislation.